Immigration to Connecticut in the second half of the 19th century proceeded much as it had in earlier decades. Driven from their homelands by changing social and economic conditions, waves of primarily European immigrants arrived in Connecticut and increasingly found homes in industrial cities. What distinguished immigration later in the century, however, was the vastly increased numbers of new arrivals to the state, the variety of population centers from which they departed, and the growing hostility they faced upon arrival. In the 1850s, Connecticut’s roughly 38,000 immigrants made up approximately 10 percent of the state’s population. Most of these immigrants came from northern and western Europe, with the largest number arriving from Ireland. By 1870, more than half the immigrants living in Connecticut were Irish. A dramatic shift late in the century, however, soon reshaped Connecticut’s ethnic identity. A population explosion in the southern and eastern regions of Europe, coupled with improvements to railroad, steamship, and transoceanic transportation, soon brought waves of immigrants from Italy, Poland, and the areas in and around Austria-Hungary. This “new” immigration contained large numbers of single males who came in search of work. As the demand for unskilled labor grew in the Northeast, foreign workers increasingly found employment in industrial centers. 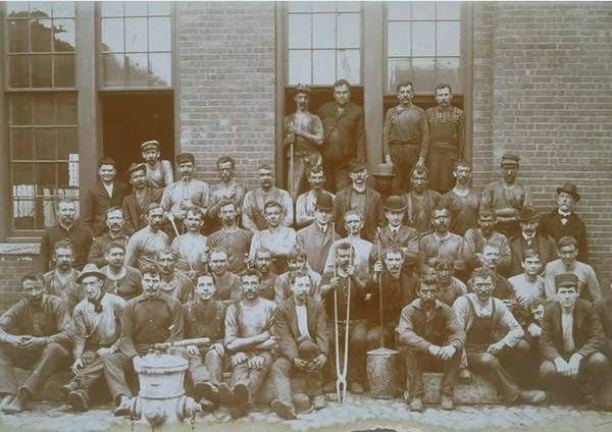 Toward the end of the century, work as a “laborer” became the primary occupation for the Polish, Italian, Greek, Slovenian, Lithuanian, Serbian, and Bulgarian immigrants in the Northeast. While immigrants from around the world found new homes throughout Connecticut, the draw of particular regional immigrant networks promoted the growth of new ethnic neighborhoods in major cities such as New Haven, New London, and Bridgeport. Hartford drew a large population of German immigrants. 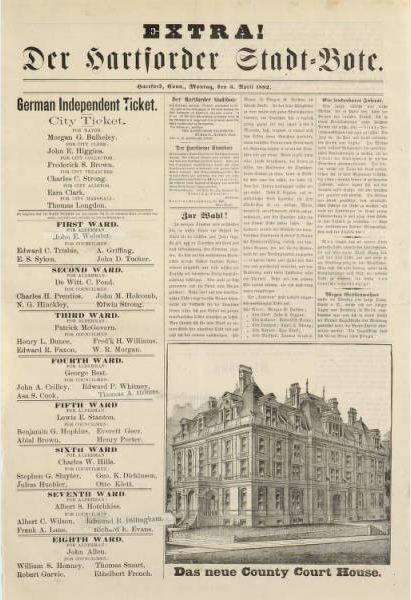 Beginning their arrival in the 1850s, by the end of the century the German population made up over 10 percent of all Hartford residents and was the fastest growing immigrant group in the city. 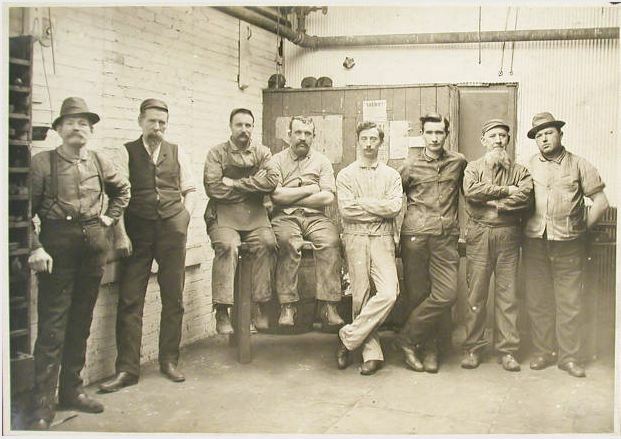 Known in particular for their skill in manufacturing furniture, Hartford Germans played a significant role in the city’s domestic, political, and commercial maturation. At the end of the century, Italians became the largest immigrant group in Connecticut, surpassing the Irish. Motivated to leave Italy by high taxation and a series of agricultural catastrophes, many of these arrivals initially found work as unskilled laborers. 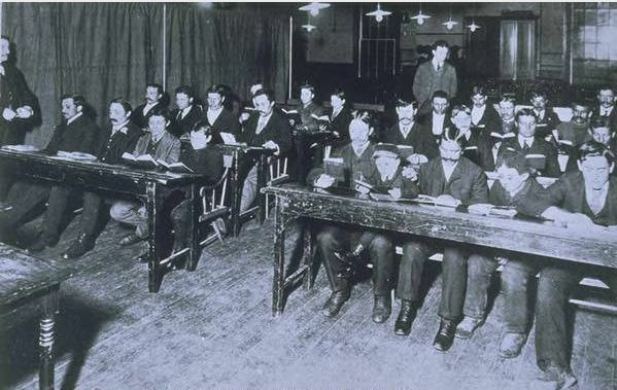 Like many newcomers, they settled into large cities such as Hartford and New Haven, but they increasingly found employment alongside Russians, Lithuanians, and Germans in the brass mills of Waterbury—eventually becoming the most prolific immigrant population in the city. These arrivals coincided with other similar movements in Connecticut that witnessed, among other settlements, the movement of substantial Hungarian and Ukrainian populations to the southern and western portions of the state. It was also a period characterized by the arrival of large numbers of European Jews seeking both economic opportunity and relief from religious persecution. Despite these challenges, immigration to Connecticut exploded in the latter part of the 19th century. While immigrants made up roughly 10 percent of all Connecticut residents in 1850, by 1870 that number reached 25 percent, and by 1900, approximately 20,000 new immigrants were arriving in the state every year. By the turn of the century, Connecticut had one of the highest percentages of foreign-born residents in the country. “Research Guide to Materials Relating to the History of Industry and Commerce.” Connecticut State Library, 2012. Link. Working in a Milltown. YouTube, 2008. Link. “New Britain Industrial Museum,” n.d. Link. “Waterbury Button Museum.” Mattatuck Museum, 2017. Link. “Windham Textile & History Museum.” The Mill Museum, 2017. Link. Fuller, Grace Pierpont. An Introduction to the History of Connecticut as a Manufacturing State. Northampton, MA: Smith College, 1915. Link. Archdeacon, Thomas J. Becoming American: An Ethnic History. New York; London: Free Press ; Collier Macmillan, 1983. Daniels, Roger. Coming to America: A History of Immigration and Ethnicity in American Life. New York, NY: HarperCollins, 1990. Koenig, Samuel, and Federal Writer’s Project for the State of Connecticut. Immigrant Settlements in Connecticut: Their Growth and Characteristics. Hartford, CT: Connecticut State Department of Education, 1938. Clouette, Bruce, and Connecticut Centennial Commission for the Statue of Liberty and Ellis Island. Immigrants: Connecticut’s Diverse Ethnic Heritage. Hartford, CT: Connecticut Centennial Commission for the Statue of Liberty and Ellis Island, 1987.